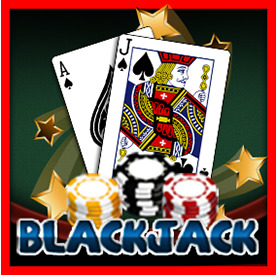 The object of the game of blackjack is to get a hand that is a higher total than the dealers but which does not exceed twenty one. While multiple players can play the game at the same time they are not playing against each other, each player is playing only against the dealer. Each player will be dealt two cards face up. The dealer will deal himself one card that is face up and one that is face down. Number cards count for their face value while face cards all count for ten. An ace can count as either a one or an eleven. If a player is dealt a two hand card he has a blackjack and has won, usually this pays at three to two rather than the even odds that are usually paid. If the total is less than twenty one the player has the option to hit and take another card or to stand where they are. A player can take as many cards as they want but if they go over twenty one they lose so you have to be careful. After each player has finished playing their hand the dealer will turn over the card that was dealt upside down. At this point the dealer may have to hit or to stand depending on what the card is. The dealer does not have a choice about whether he hits or stands, he will hit on anything sixteen or under and stand on anything that is seventeen or over. After the dealer has finished his turn any hand that has a total that is higher than his but less than twenty one will win. If the dealer goes over twenty one any hand that did not go over twenty one will be a winner. Insurance: If the dealer's upcard is an ace, the player is offered the option of taking "insurance" before the dealer checks the hole card.